Ms George and Ms Peck: SNAG Golf! 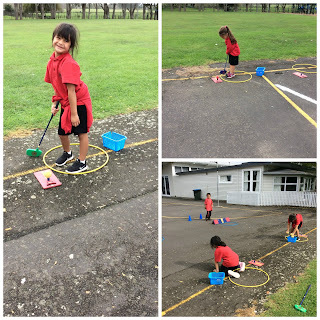 Today, we had our first session at SNAG (starting new at golf) golf! 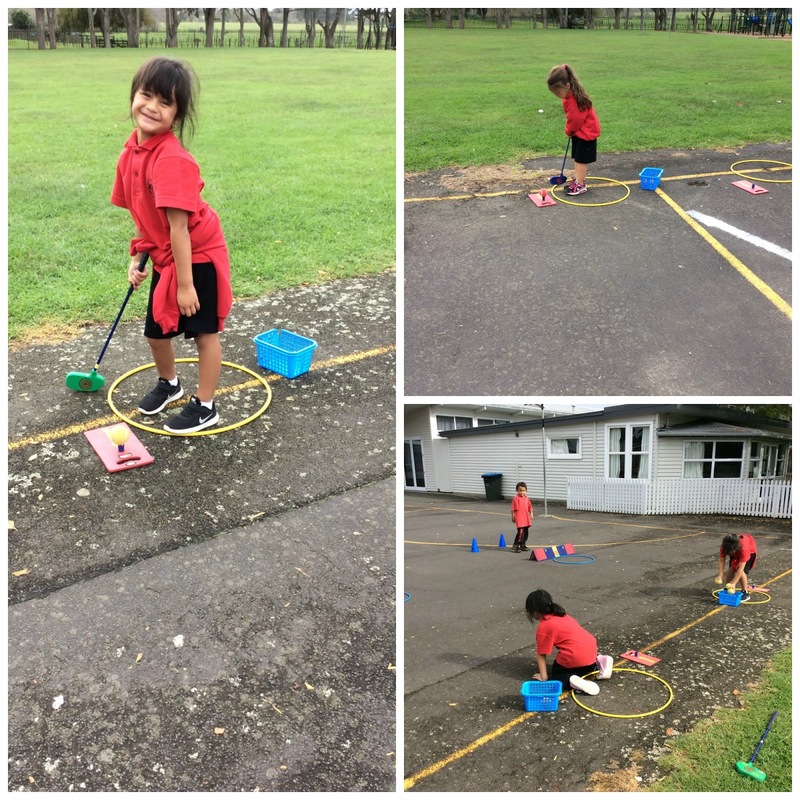 We learnt how to do an underarm roll and started practising how to hit the ball with the roller (golf club). It was great to see everyone getting involved and trying their absolute best to learn the new skills! Look how much we have grown!